CHILI VENDING MACHINE COMPANIES! These Chile Vending Companies may offer; Snack, Soda, Drinks, Food, Deli, Coffee, Healthy vending machines, Micro Markets, Amusement Games, Repair services and more for your breakrooms! Please contact them direct for more information about their vending services and products they offer. Carmelo Vending – Vending Machine suppliers – huechuraba, Santiago, Chile. YOUR CHILE VENDING COMPANY LISTED HERE! FYC Ltda. – Full Line Vending Machine Services – Chile. NOLICHILE LTDA – Coffee service vending machines, Contact Mr. Gabriel Crespi, Santiago, Chile. 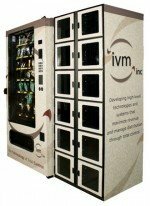 Sistemas de Venta Conosur S.A.
Sistemas de Venta Conosur S.A.- Vending machines, vending machine distributor. Santiago, Contact Aldo Valdes Rojas. Universel Electronic Corp. Ltd. Amusement coin operated machines. Santiago, Chile.